The Ross Animas Fly-Fishing Fly Reel is a Ross fly-fishing fly reel that is a very affordable fly-fishing fly reel that is feature-rich and very innovative. 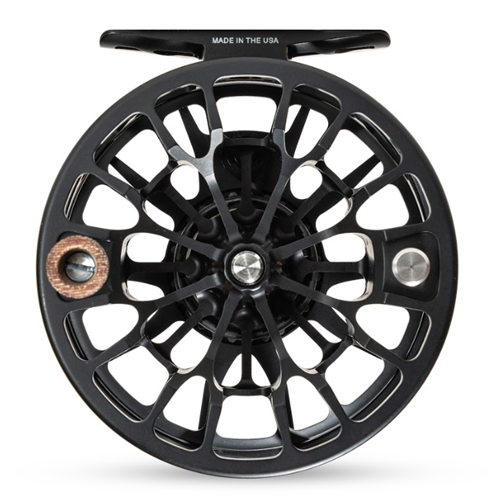 This fly-fishing fly reel is designed with a very lightweight large arbor ported frame that features a very smooth drag and can be converted from left to right without any tools which is really great. 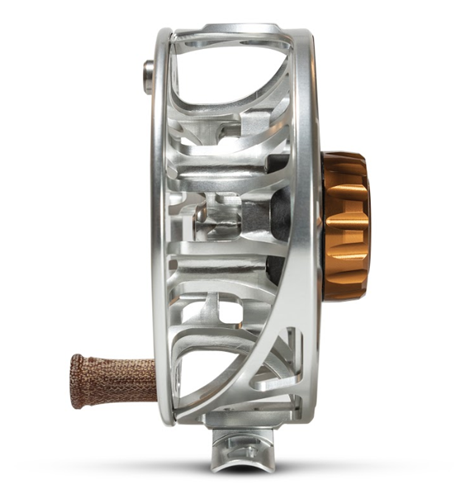 The 2019 Animas takes the time proven features that made the original Animas a guide and Platte River Fly Shop favorite, while incorporating machining features that bring it into the modern era of Ross Reels. A fully redesigned frame and spool are highlights of the new Animas. The spool shows off the cutting edge manufacturing techniqes Ross Reels has developed, delivering a design that is incredibly strong and visually stunning. The Animas also joins the family by incorporating an ultra-light canvas phenolic handle which gets tackier when wet. A new trouble free spool release yields zero maintenance performance, allowing the Animas to be ready for any fresh or saltwater excursion. The frame is accented by a machined silhouette of the Colorado mountains in Ross Reels' backyard. Its uniquely ported design and structural profile are eye catching industry firsts. The two tone drag knob sports an updated aesthetic with a lower profile and increased grip. An improved composite drag system delivers more power in an established Ross design loved by fly anglers around the world. The Animas river is a major white water rafting attraction accounting for 8.9% of Colorado's commercial rafting market while annually generating 45,411 commercial user days and direct expenditures of $5,207,033 (2011 est).The Animas is a freestone fishery well populated with rainbow, brown, Colorado River cutthroat, and brook trout. It is considered a gold medal fishery above Rivera Bridge Crossing in Colorado. Recreational fishing with artificial lures and flies on the Animas is available year-round due to moderate winter weather. Insect hatches of aquatic diptera and mayflies occur in the winter and spring months. In late spring, summer and through fall the Animas sees caddisfly and mayfly hatches as well as terrestrials such as grasshoppers. Animas trout average 12 to 16 inches (30 to 41 cm). Larger trout in the 17 to 22 inches (43 to 56 cm) are occasionally caught by anglers. Brown trout as large as 36 inches (91 cm) have been caught in the Animas. This Ross Colorado LT Fly-Fishing Fly Reel is perfect in my personal opinion. The price is just right and it works beautifully in the water which is why I think this Ross Colorado LT Fly-Fishing Fly Reel is so great. This Ross Animas fly reel is truly amazing. My old fly reel was horrible compared to this Ross Animas fly reel and it comes at a great price and the customer service at Platte River Fly Shop couldn't have been better, thanks guys!!! This Ross Animas fly-fishing reel is exactly what I need, it has a real smooth cast and it really feels great while on the water. This Ross Animas fly reel is also affordable which is another great aspect of this Ross Animas fly reel. This Ross Animas fly-fishing fly reel is really great and also really lokks nice and the girls at Platte River Fly shop are so helpful and knowledgeable, so my entire experience was really great. 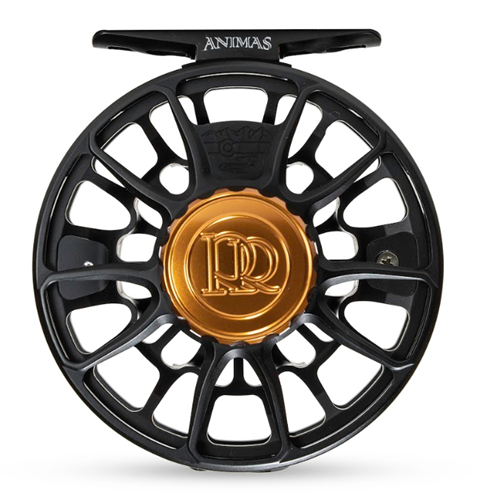 I highly recommend the Ross Animas Fly-Fishing Fly Reel to all fly-fisherman who are looking for a quality, great-priced fly reel that feels really great. This Ross Animas fly-fishing fly reel is really, really great.